Honestly, the week in Jerez de la Frontera was tough. Every day we had a clear, tight schedule and the days were long and intense. It was evident that we didn’t come here for a few days of vacation. 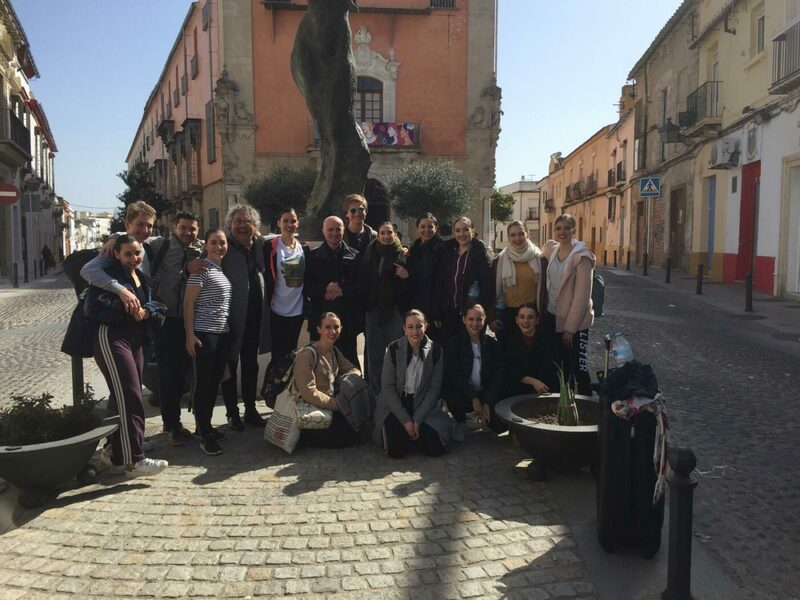 We came here to compete with international flamenco dancers and to show off what we have been working on the last few weeks. Furthermore a competition like this is the perfect occasion to make great progress on and off the stage. Looking back at what we have experienced in Jerez, I’m sure that some moments will remain in our heads for a very long time. For instance we like to remember the group’s unique team spirit. The mood has been very positive and supportive from the very beginning and remained this way just until the last day. They were able to push each other to their best and celebrate their wins together as a group. For us teachers it has been very touching to see our students to behave the way they did. 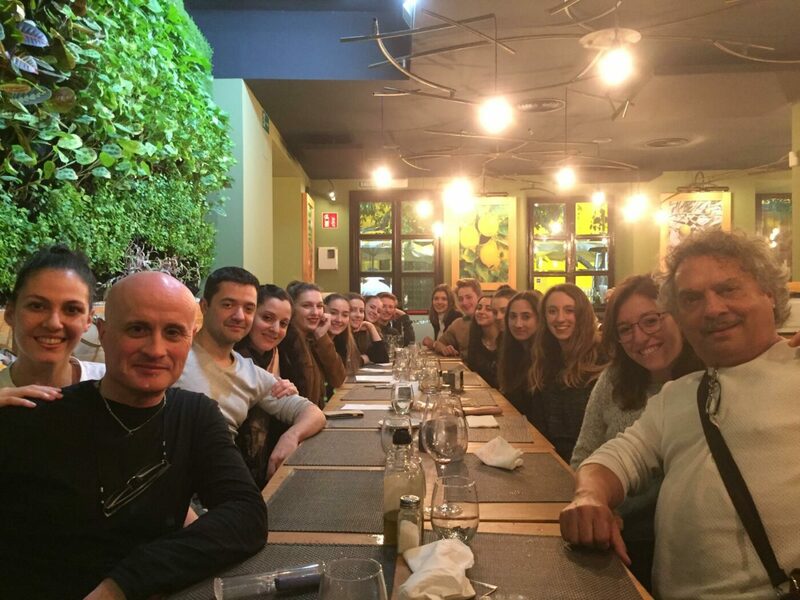 For them it was a good opportunity to spend some extra time with each other after and in between the trainings or shows. 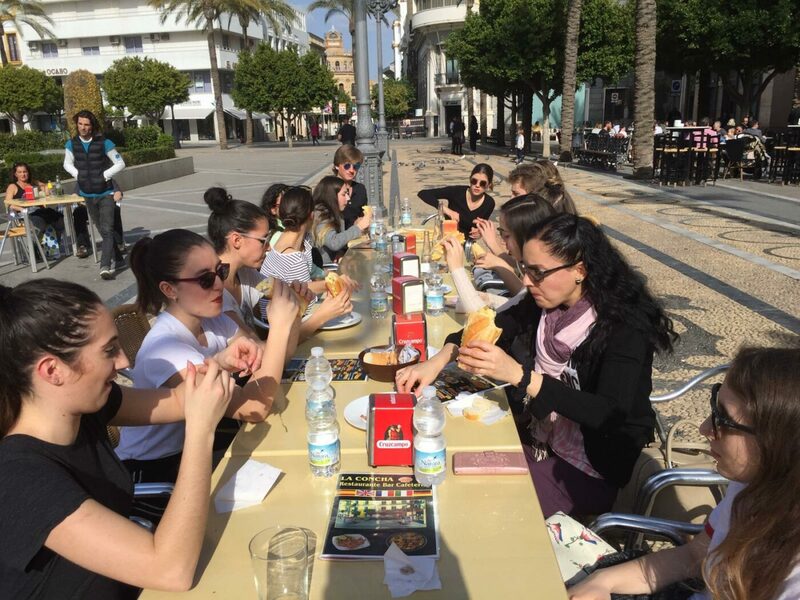 It certainly strengthened the bond between all of us and it’s something that both, teachers & dancers, appreciated a lot. Olé! All three groups qualified for the final! Each group ranked third or better in their category. What a feeling! Another thing that made us teachers very proud was their professional-like conduct albeit despite all circumstances. 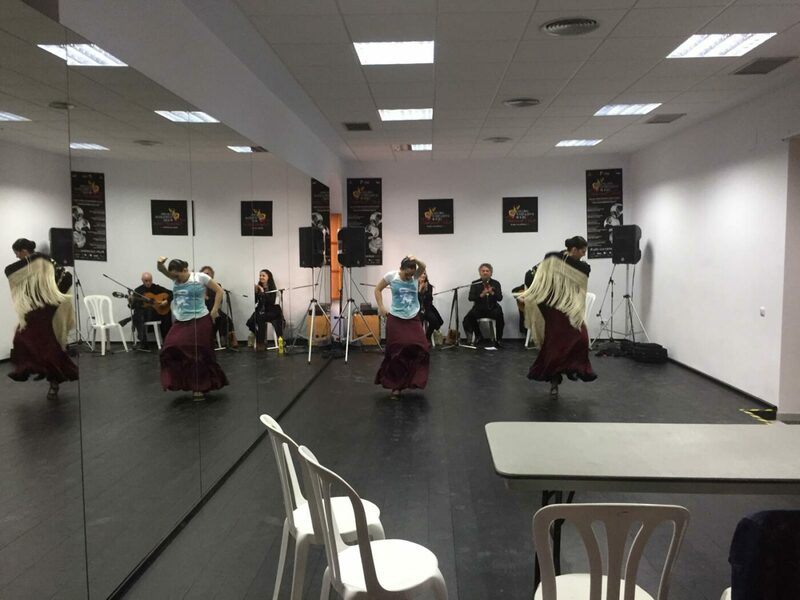 Before and during their performances they were fully concentrated and working on their focus. In the changing room one could sense their determination to show the jury and the public the best possible version of what they have got. 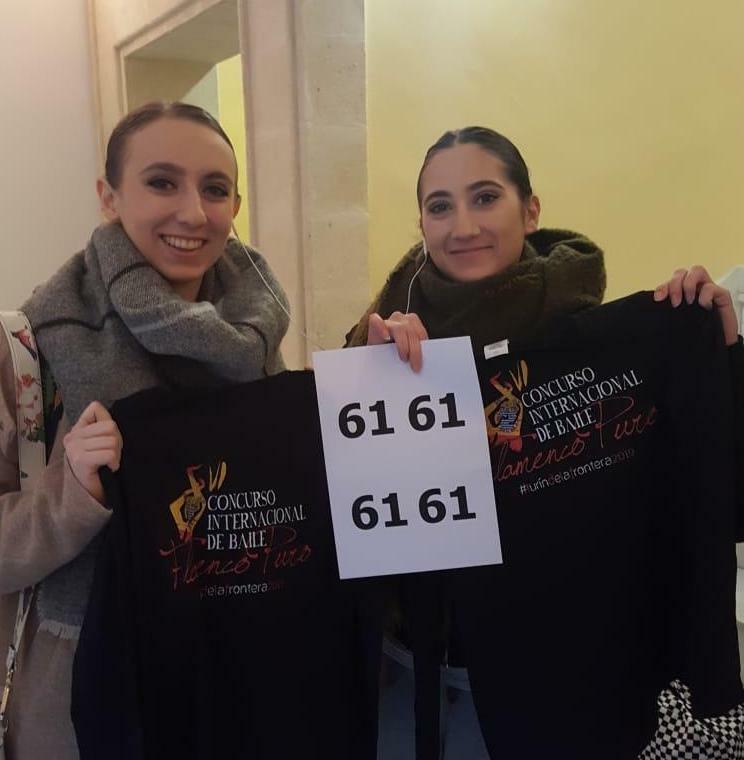 1 x First Place non-professionals/Primer Premio „Grupo no profesional“: 15 hours of flamenco-class in Sevilla (Betanzos or Alicia) for each group member. 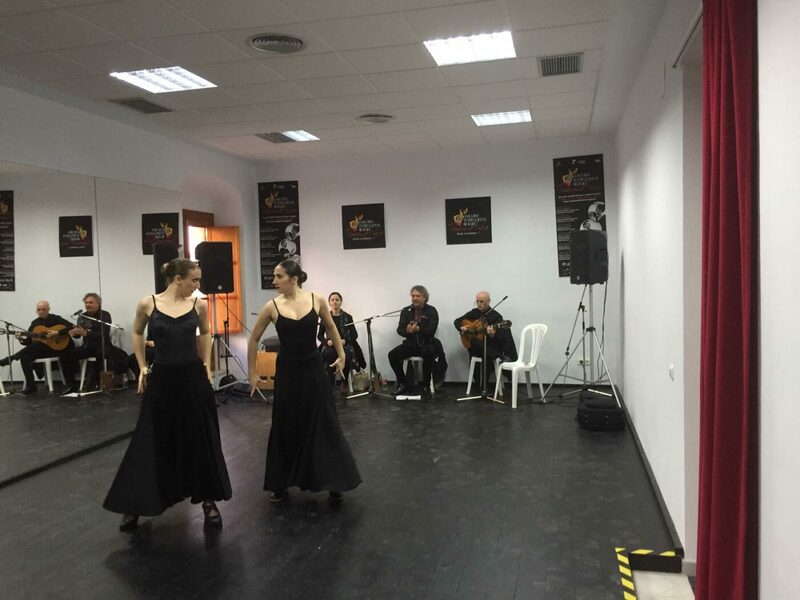 1 x Third Place non professionals/Tercer Premio „Grupo no profesional“: 5 hours of flamenco-class in Sevilla (Betanzos or Alicia) for each group member. 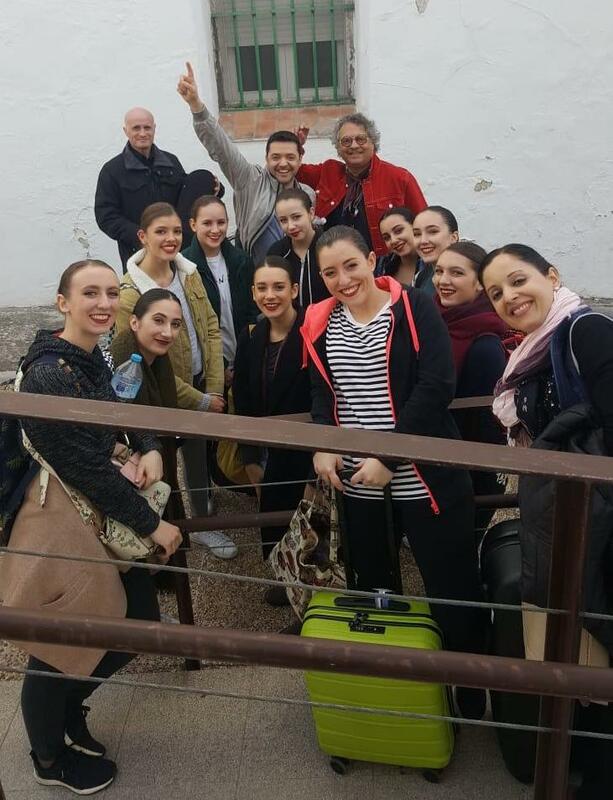 1 x Special Award/Premio Especial Centro de Bailde Jerez: 4 x scholarships at the Centro de Baile de Jerez in August 2019. Classes will be held by special teachers, such as Pilar Ogalla e.g. 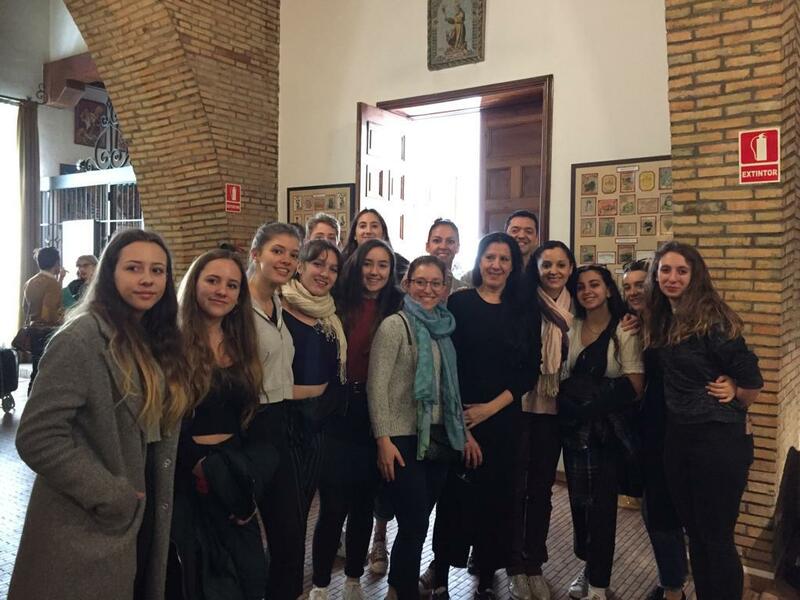 Besides the dancing the students appreciated the interactions with international Flamenco dancers the most. Not only watching their performances, also the exchange of experiences are very valuable for their future path. 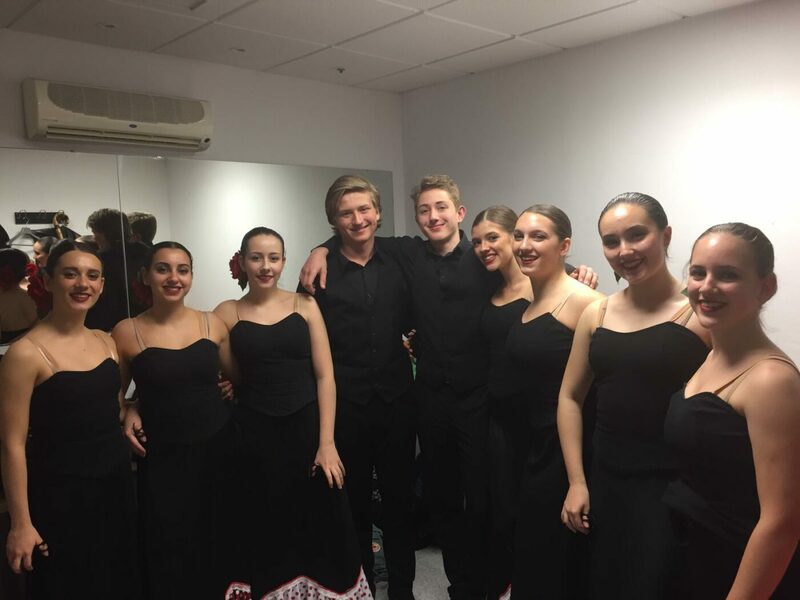 It has also been very special for the boys to see other male Flamenco dancers live in action. Of course those triumphs are one of the highlights when thinking of Jerez. Unbelievable that we were awarded in every category! Another highlight was María Pagés. Before the gala event we had the pleasure to meet her and shoot a souvenir picture with her. After the gala we went to see her new show Una Oda al Tiempo. It was incredible! 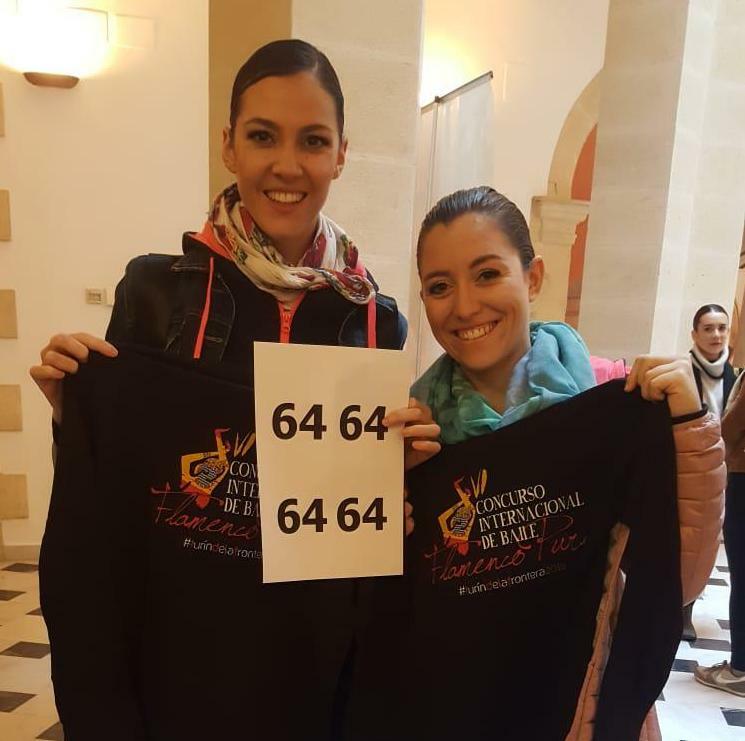 First Prize and an invitation to dance at the gala for the mixed group: What an honor!